A used car salesman finds himself embattled with a local gang. A U.S. Census enumerator disappears in the Black Belt. A former Birmingham fire fighter is haunted by his involvement hosing peaceful protestors during the Civil Rights Movement. A riverboat captain recounts his time working for a mining company while sailing down the Black Warrior River. A newlywed couple’s honeymoon is botched by the Deepwater Horizon oil spill. A lynching survivor tells the story of his near-death experience. Through sixteen stories sharing common environments and characters drawing heavily on the author’s experiences growing up in central Alabama, Nobody Knows How It Got This Good explores themes of racial injustice, class, the Civil Rights Movement, environmental catastrophe, imprisonment, suburbanization, and the perennial themes of love, life and loss. 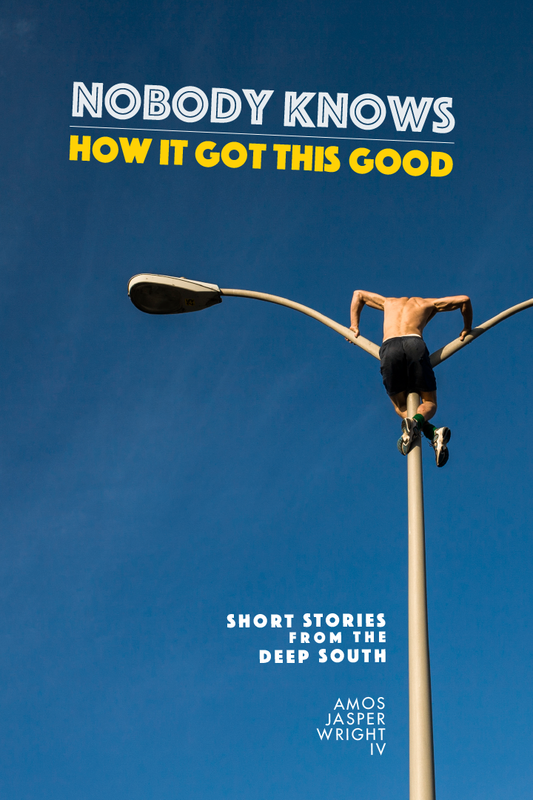 Though set in the Deep South, these stories aspire with humor and pathos to address national dilemmas. Nobody Knows How It Got This Good was published by Livingston Press in July, 2018 and is available on Amazon and Small Press Distribution. Please consider reviewing the book on Goodreads! "Wright’s prose is stylishly verbose and honest, offering descriptions that seem to have ambulated onto the page of their own accord: “When DOT took a slice out of Red Mountain for the expressway…most of downtown Birmingham self-actualized to antique ruins, reverting to a giant used-car lot, a smooth asphalted prairie where trash and news blew before the winds.” He successfully combines the anarchic nihilism of Hunter S. Thompson with the deeper, exploratory writings of William Faulkner, identifying the cancers of his chosen corner of the American South and providing not solutions so much as requiems. The author shapes observations that feel simultaneously folksy and startling; one woman observes of her neighbors: “They’re such goddamn Good Samaritans they’d show you how to load a gun if you were trying to blow your head off.” At nearly 300 pages, the book is perhaps overlong for a story collection, and a few of the weaker pieces could have been left on the editing room floor. That said, the thematic consistency is so strong that the reader leaves the book with the wondrous sense of having spent a lifetime among the crooks and malcontents of central Alabama and having come away much wiser for the experience. A finely crafted collection that perfectly evokes a place and culture."